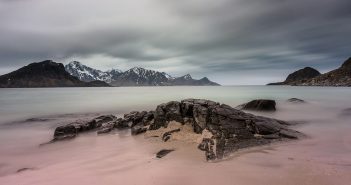 There is no doubt that landscape photography is about capturing or simply recording the light on the landscape, as the Greek origin of the word would clearly suggest – Φωτογραφια. Saying that, is it of any benefit to record the light on the landscape, no matter how beautiful it may be at the time, if the landscape itself does not inspire the photographer? In short, photography is a bit more than beautiful light. There are many parameters to consider and all of these combined can then produce a beautifully captured picture. One of them is location, of course. The nicer the landscape the better the outcome should be, although this is not always true. Another parameter is weather conditions and the way these can affect the landscape’s mood and atmosphere – light is also affected by weather conditions, undoubtedly. However, for me anyway, the biggest parameter is state of mind, which in turn leads to inspiration. I find that, when my state of mind and personal mood are on top form, I can create images that I would love to see on my wall – although due to lack of time this has not been the case lately, but that’s a different story. Crystal clear water usually runs from a source and the same goes for inspiration. A portrait photographer’s source of inspiration, for instance, can be a beautiful model, his muse. In my case, my biggest source of inspiration lately has become the island of Santorini in Greece. Regardless of how many times I have been on the island in the last seven years it has never failed to inspire me and allow me to come back home with new images each time – every time I capture more impressive images than the last. Often described as the most beautiful island in Greece, if not the world, Santorini is steeped in intriguing history, encompassing an awesome volcanic landscape, breathtaking sunsets and its deep blue sea. 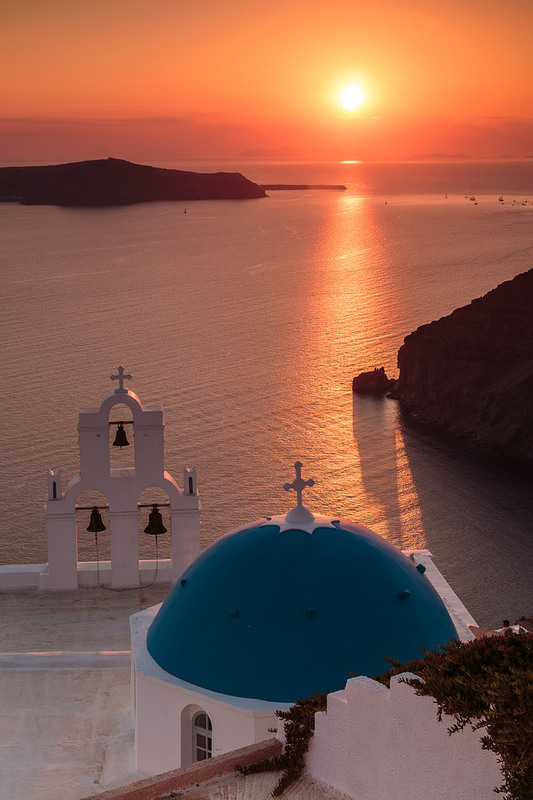 Santorini is a fairly small island in a set of islands called the Cyclades, right in the middle of the Aegean Sea. A barren, rocky island with black and red volcanic beaches and towns situated on high cliffs, it offers breathtaking views. The island of Santorini, as we know it today, was formed of the lava from a volcanic eruption in 1660 BC. Today it is the only inhabited caldera (volcanic cauldron) in the world. 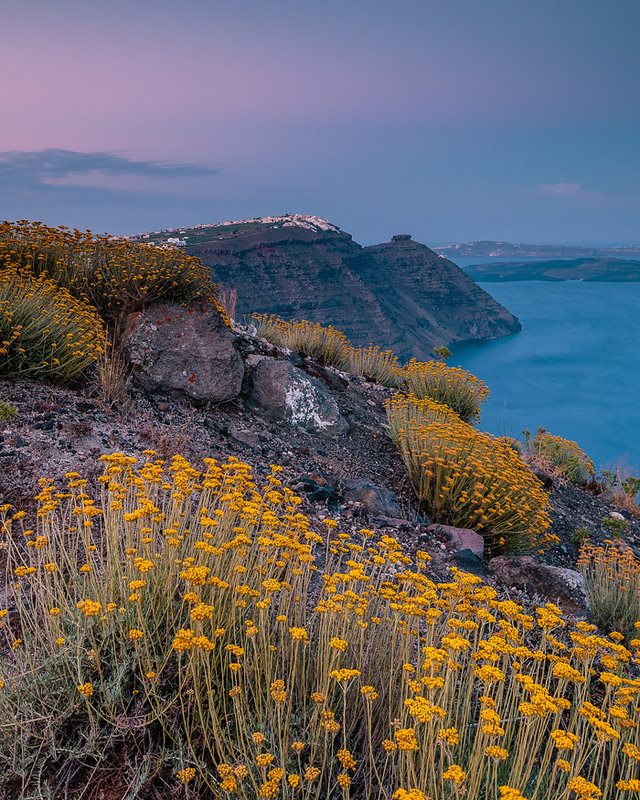 Unlike other islands in Greece, the towns and villages sit densely on top of the massive cliffs of the caldera and from a distance appear like snow-capped mountaintops. Small alleys feature buildings of traditional Greek Cycladic architecture, all with colourful patterns, graphic shapes, abstract details and a superb combination of white and blue colour. Add to this the varied light, which ranges from being beautifully diffused before dawn to superbly warm around the golden hours, and one can clearly see why this place has become my endless source of inspiration. Every other year I run photographic tours there and this past June I was there again with a group of photographers. They all left the island with many beautiful pictures but, most of all, with high levels of inspiration. The fact that I am Greek and thus able to communicate with locals, which results in them being able to eat the best in Greek cuisine, no doubt helped in keeping everyone’s spirits high. Admittedly, we all went home a couple of kilos heavier but I suppose one has to pay the price for having a good time. If you wish to join me on my next photo tour on Santorini island in June 2018, you can now book your place on the page below. Update: please note that the Santorini photo tour is filling fast. We now have only 5 spaces left.